Nat sings The Internationale in the opening chapter. Here it is sung in Spanish, and also by the Red Army Choir. This was the song we sang at my grandparents’ funerals and I’m still looking for a really good version online in English – any suggestions? Having been brought up on ‘Arise, ye starvelings from your slumbers’ I’m not mad about Billy Bragg’s revisions. Peter Miller’s beautifully-made documentary about the history of the song is very well worth watching – I was pleased to see a banner from the ‘Camberwell Trades and Labour Council’ 40 seconds in. ‘It was sung to me like a lullaby’, says the Philippine screenwriter Marina Feleo Gonzalez in a particularly moving interview. At the beginning of the second part of the film, an American International Brigader remembers hearing The Internationale sung in forty different languages at once at a hospital in Spain during the Civil War. The third part conveys the tragedy and hope encapsulated in this anthem against oppression and injustice. Here’s the extraordinarily catchy Ay Carmela, (AWBU, p111) which was has lots of different variations and was based on a much older folk song. It’s one of four songs energetically recorded by the Dutch punk band The Ex in 1986 for the fiftieth anniversary of the revolution – 1936: The Spanish Revolution. The album cover is superb and takes the form of a book of fantastic photographs from the collection of Amsterdam’s International Institute of Social History telling the story of the war from an anarchist perspective. There’s a brilliant slideshow accompanying Paul Robeson‘s marvellous singing of The Peat Bog Soldiers, an extremely moving song which Felix first hears on page 61 of A World Between Us, though Kitty sings it in German. Here’s Ernst Busch singing in excellent quality and again here - the sound isn’t so good but there’s more information about the history of the song for non-German speakers. The Peat Bog Soldiers or Die Moorsoldaten was Jessica Mitford’s ‘if you could only take one’ choice on Desert Island Discs. When Nat arrives in Barcelona, his heart is lifted by crowds singing one of the most popular songs of the Spanish Civil War, A Las Barricadas (El bien más preciado es la libertad, hay que defenderla con fe y valor - The most precious thing is Freedom, which we must defend with faith and courage). Here it’s sung in Arabic in a version posted on in YouTube in 2011, six months into the Syrian uprising. 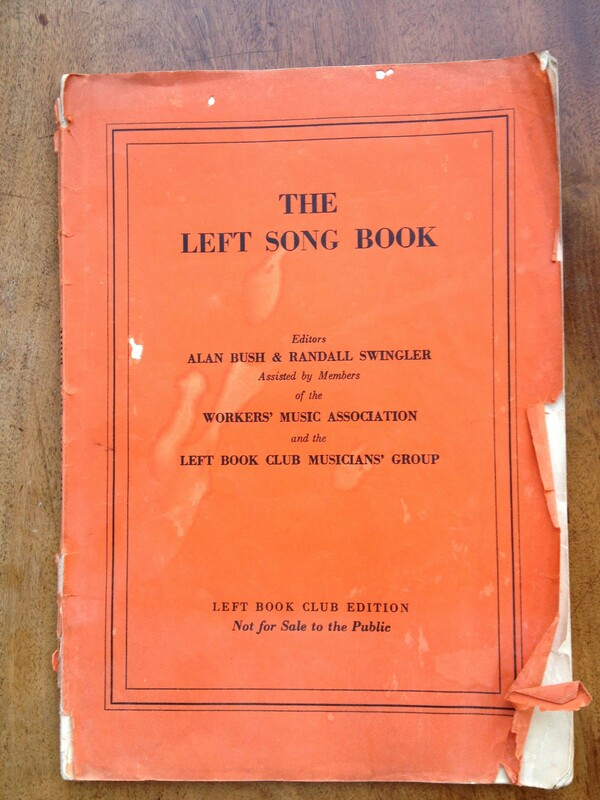 I’ve just become the custodian of my own family’s collection of political, community and peace songbooks – the earliest is a Fabian songbook which includes two socialist songs written by one of my favourite children’s writers of all time, E.Nesbit – so I’ll be adding more on this topic soon. Do let me know your own favourite songs and recordings, and what you think I’ve left out. There’s one song in my book which Felix sings that I haven’t included here. You’ll probably understand why when you get to it. JULY 2013: At this year’s annual commemoration of the British Volunteers for Liberty held at the International Brigade Memorial on London’s South Bank, a newly formed choir opened with these spirited renditions of Ay Carmela and Si me quieres escribir. Find out more about the Catalan community in the UK here. …and – from November 2012 – hear Strawberry Thieves on the A World Between Us multitouch iBook. Great post. ‘Ay Carmela’ also made my face leak. Very glad you posted these! I read today that the Daily Mail in 1937 reported a bunch of Basque boys singing ‘The Red Flag’ but ‘La Roja Bandera’ on YouTube seems to be an entirely different song… have you come across this one in Spanish? PS. As for the first question, well, yes…. For me the best version of the Internationale is by the Red Army Choir. And have you heard their version of the Battle Hymn of the Republic? It’s absolutely fantastic. Like the rolling of the ocean in the eventide of fear?